← Just When You Thought the Lake Oswego Farmers’ Market Couldn’t Get Any Better…It Did! 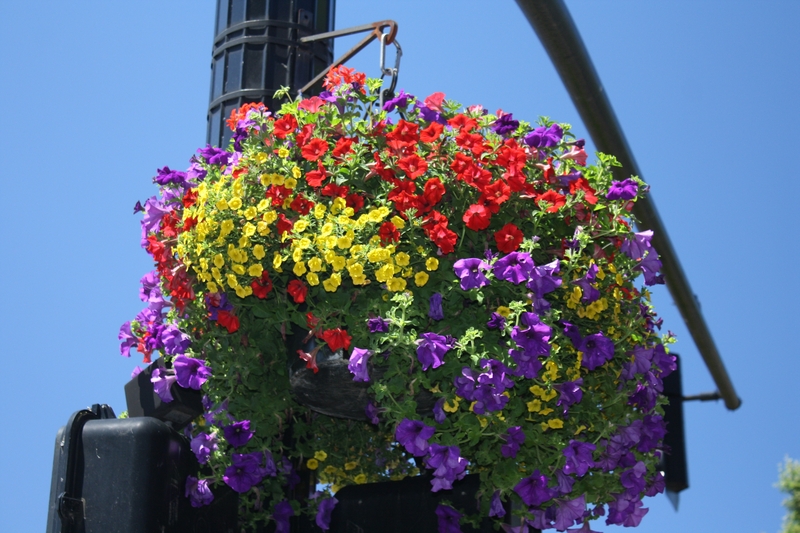 While most of you were sleeping Saturday morning, close to 65 volunteers set out in organized groups across Lake Oswego to hang the flower baskets which will paint our streets with color all summer long. While these early risers (try 4:30 a.m.) put faces (albeit sleepy-eyed) to the effort behind Lake Oswego’s Village Flower Basket program, there are other hands that pitch in sight unseen. Those include the donors whose contributions from $5 to $500 help the basket committee meet its $75,000 budget. This year a record 270 baskets were hung at a cost of $300 each which includes not only the planting, but the maintenance throughout the season. 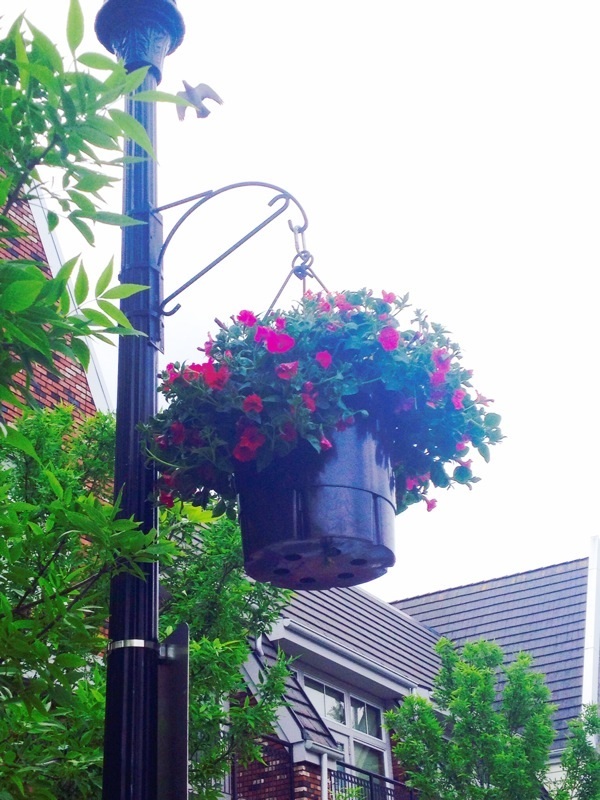 Here’s what the baskets look like in all their summer glory. Few volunteer efforts reap such visual rewards. My wife and I have never had a summer visitor who hasn’t commented on their beauty. The program has earned national recognition too, winning an “America in Bloom” award in 2003 with a 5 out of 5 rating for floral displays. In addition, the Lake Oswego Chamber of Commerce, which manages the program, receives requests for help from other communities hoping to establish a similar program. We are blessed to live in such a beautiful spot. The lake is natural beauty which we can’t take much credit for; however, the flower baskets are man-made-hung-and funded. It’s that kind of collective oomph that makes Lake Oswego such a special place to live. You are welcome to join in the spirit of making it all happen. Donations are still being accepted by calling the chamber at 503.636.3634. This entry was posted in Lake Oswego lifestyle and tagged Lake Oswego Oregon, Lake Oswego Village Basket Program. Bookmark the permalink.